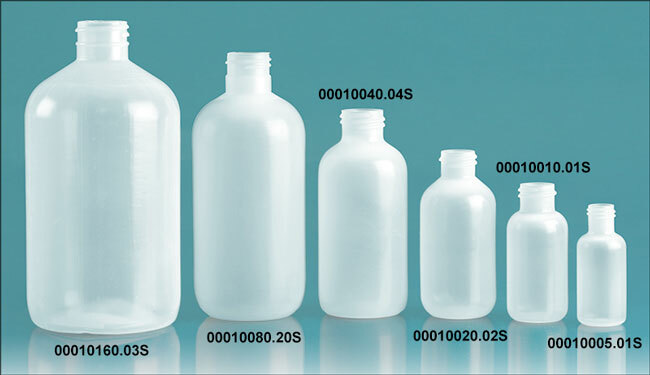 The natural LDPE boston round bottles come with natural LDPE orifice reducers and your choice of a black or white caps. The black and white polypropylene caps are ribbed and come with a PE liner. 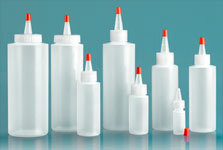 The LDPE containers are great for containing products that need to be squeezed out, and the orifice reducers are good for dispensing small amounts of product. 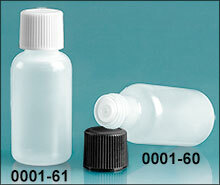 Try adding a shrink band to these bottle and cap combinations, offering your customers a tamper evident container.